In our experience, beauty has very little to do with complexity. Complex things can be very beautiful, of course, but when they are, it’s only a coincidence. 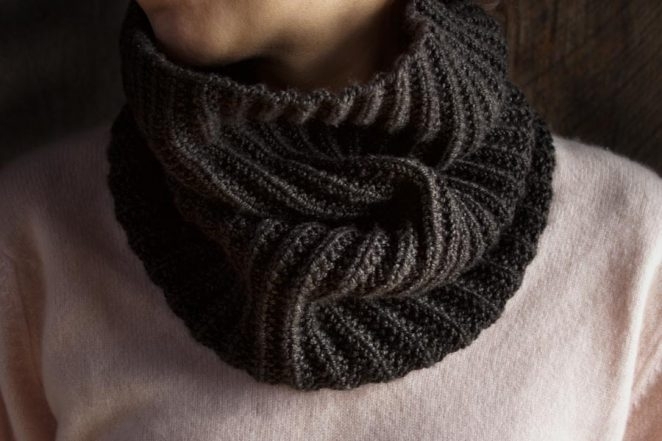 It’s just as likely that a simple thing will be beautiful, and in the case of our Mistake Rib Cowl, it’s definite! 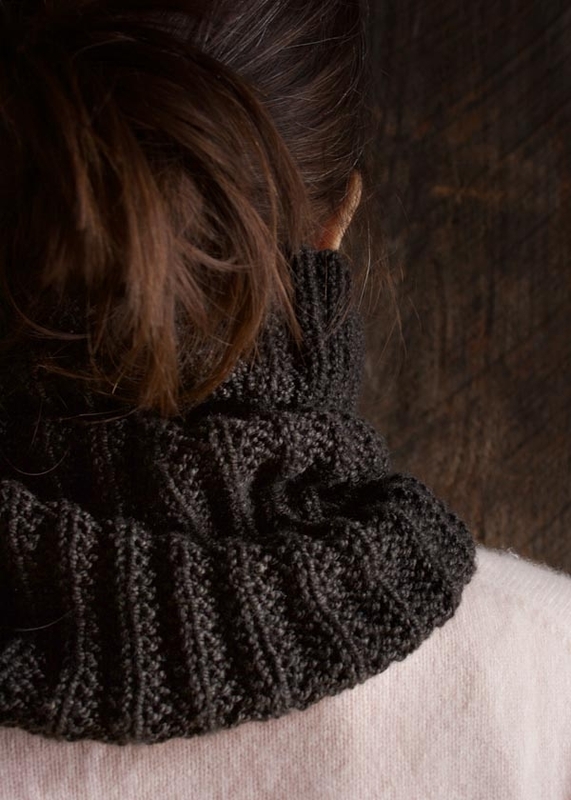 It turns out that Gentle Giant is just right for showing off the beautiful texture of this stitch and that our Mistake Rib Cowl in Gentle Giant is a new mistake rib favorite! Mistake Rib in the round is worked over a multiple of 4 stitches. Cast on 144 stitches, place a marker, and join to work in the round, being careful to not twist the stitches. Round 2: P1, *k2, p2, repeat from * to last 3 stitches, k2, p1. Repeat Rounds 1 and 2 until piece measures 15 inches from cast-on edge or desired length. Bind off loosely in stitch pattern. the stitch count on this pattern doesn’t make sense. 144 stitches; (k2, p2) is 36 pattern repeats, but p1,(k2,p2) to last stitch, p1 would end up 142 or 146 stitches. The 2 x p1 makes half a pattern repeat…. Round 1: *K2, p2, repeat from * to end of round. Here you just knit 2 stitches, then purl 2 stitches. You’ll repeat that to the end of the round. Round 2: P1, *k2, p2, repeat from * to last 3 stitches, k2, p1. Here you will purl 1 stitch, then you knit 2 stitches and purl 2 stitches until you get to the last three stitches on your needle. These last three stitches you will knit 2 of them and purl 1 of them. Does that help? Please let us know! I just want to confirm the yardage. Two skeins is about 500 yards – does it really use that much? I did not use the entire second skein, and estimate (based on weight) that I used approximately 410 yards. Thanks for your response and for the pattern! Thank you for writing in! 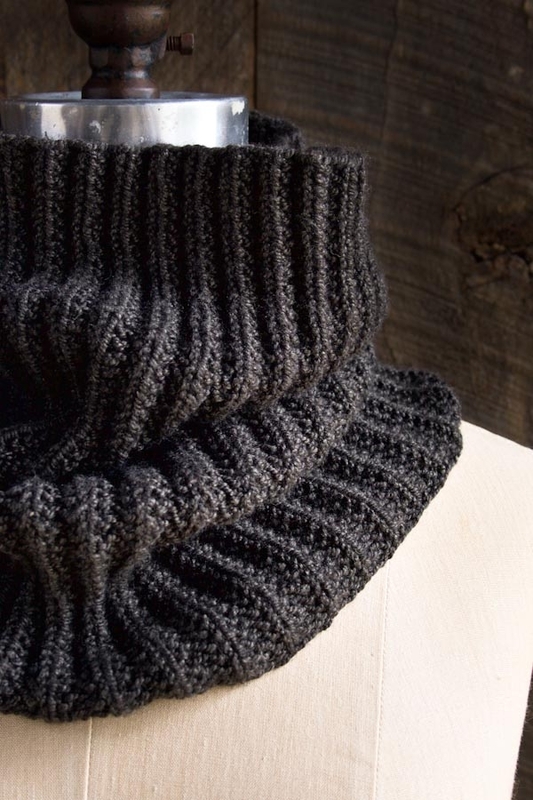 The correct pattern is here, https://www.purlsoho.com/create/2016/02/01/mistake-rib-cowl/. It was recently edited. If you have further questions, please let us know! Again, thank you for your comment, happy knitting! 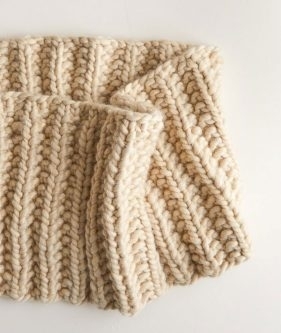 I love the scarf, would love to make one…you be able to give the instructions for making it on straight needles? I cannot master working in the round, my stitches always twist.. If you’d like to make a flat version of this cowl we have a pattern for a scarf in this stitch pattern that you can adapt, also in our Mulberry Merino. 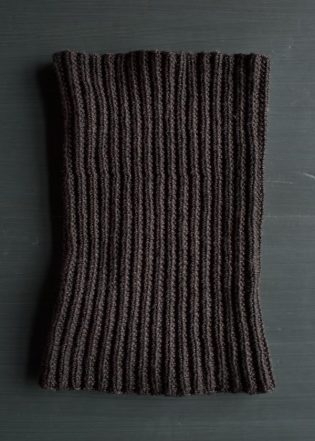 You can find the complete directions for our Mistake Rib Scarf here. To do the cowl flat, you would need to cast on 143 stitches and follow the scarf stitch pattern. Knit to the desired length and then sew the seam when you’re all through. If I were to use size 8, 24-inch circular needles and #4 weight yarn, how many stitches would I have to cast on? I wonder what it would look like if I cast on 144 stitches. I think I may have to cast on fewer stitches. To figure out how many to cast on you will need to do a gauge swatch in your desired yarn and needles. Once you know your stitches per inch you will multiply this number by the desired circumference and cast on that amount, being sure your number is a multiple of 4 for the stitch pattern to work. Hope this helps. Please let us know if you have further questions! this is sharp and I can knit it …. I have one skein left so Wed. will order another…. it will be a smart addition to Robyn’s uniform …. thank you for the scarf pattern…. Simple and fun. I will reduce the number of stitches to cast on and have a wonderful cowl for my greyhound. 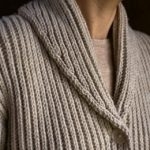 Do you have an adjustment if I wanted to make it in bulky or chunky yarn? Thank you for your question. The best way to alter this pattern is by doing a swatch in the mistake rib pattern with the yarn you would like to use and your desired needle size. Based on how many stitches per inch you got on your swatch you could figure out how many stitches to cast on to get an 18″ circumference. For example, if you got 4 stitches per inch on a size 11 needle in the mistake rib pattern then you would cast on 72 stitches (you need a multiple of 4 stitches). I hope that helps. Let me know if you have any other questions. Any plans to make a pattern for matching hat? I made the scarf and I would love a hat to match. Thank you so much for writing in! Unfortunately, we don’t have a mistake rib hat pattern, but will certainly let our team know that there is an interest for such a pattern! I have heard that there is a pattern out there for such a hat. I am certain that quick internet or Ravelry search will help you find a hat pattern for this stitch. Sorry we couldn’t be of more help! Thank you so much for writing in! Unfortunately, we don’t have a mistake rib hat pattern. However, I have heard that there is a pattern out there for such a hat. I am certain that quick internet or Ravelry search will help you find a hat pattern for this stitch. Sorry we couldn’t be of more help! Thanks for your question! Essentially, this means continuing the pattern while binding off to create an edge that matches the pattern. Where you would knit in this stitch pattern, you will knit and where you would purl in the pattern, you would purl while still binding off. So if you come to a purl, you will purl that stitch and then pass the previous stitch over it, thus binding it off. We do not have a video tutorial for this but I did a quick search on YouTube and found a number of videos about binding off in pattern. They do not address this stitch pattern specifically but the visual aid may be helpful. I hope that this helps. Happy knitting! Love this pattern. Thank you so much! Can you tell me how I would adjust the pattern for girls age 8-10? Thanks! I am not sure what measurements would work best for an 8-10 year old. My suggestion would be to take out a few repeats and knit it to a shorter length. The Mistake Rib in the round is worked over a multiple of 4 stitches at a gauge of 32 stitches equaling approximately 4 inches in Mistake Rib, unstretched. You can modify the cast on to a more appropriate number based on how wide you would like the final product to be. 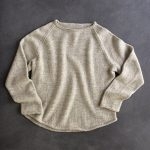 I’m new to knitting and am confused by the measurements here. How does using a 24 inch length result in 18 inch circumference without stretch too much? Good question! This pattern pulls in quite a bit as it knits up however it is still possible and easy to knit it on a 24 inch long needle. If you prefer, you may knit it on a 16 inch circular as well. Hi – wanting to do this for a male – so thinking that a shorter version would be better suited. Would 1 skein be ok? Thanks for writing in! I think one skein would be fine if you want to make this shorter. However, I do think two skeins might fare better (even for a male) because cowls tend to scrunch down when laying around the neck. Either way the cowl will be such a great gift! I am relatively new to knitting and bought your yarn for this cowl. What is the best cast on? I have only ever really done the long tail. I looked around for the long tail tubular cast on and am thoroughly confused. I watched the video that you referenced but that really only deals with a 1×1. Will I work the 144 stitches as a 1×1 as in the video thru the two foundation lines and then just change to the 2×2 after that? Won’t that look weird? And when you transfer from the straight needles to the circular, when you join in the round, do you then have to sew the foundation rows together? Sorry if these are ‘duh’ questions… just learning here and am super excited to try this, but don’t want to ruin my awesome yarn!! Great question! 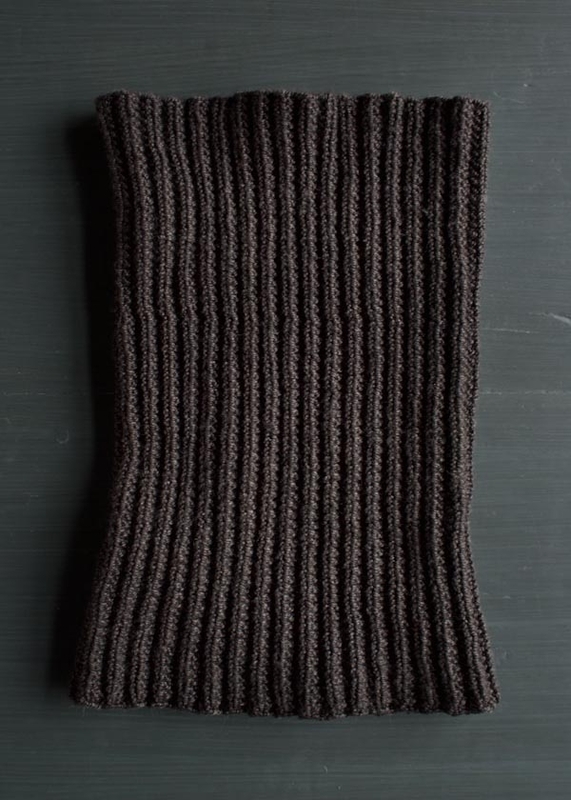 For this cowl and for most of our patterns, we like to use a long tail cast on. Looking at the sample, it does make for a nice, tidy and stretchy cast-on for this cowl. Should you prefer trying the long tail tubular cast-on, you will need to cast on for a 2×2 ribbing instead of the 1×1. We do not have a tutorial for this but there are a lot of resources out on the web. I would suggest googling “tubular cast on 2×2 rib” and a number of videos should come up. However, for our version of this cowl, a long tail cast on will do just fine! 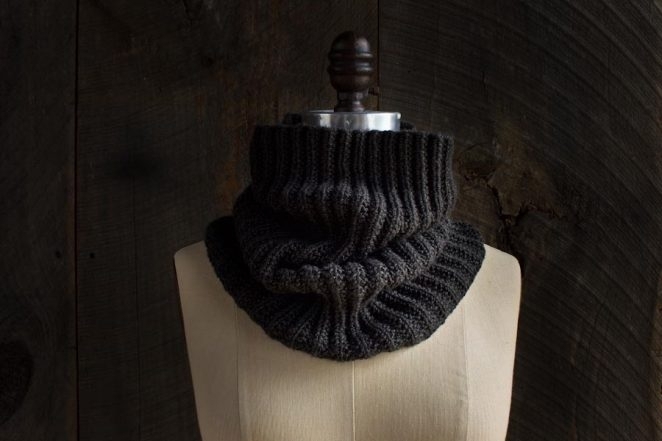 How would this cowl look in Gentle Giant? Would it have as much body as it does here? 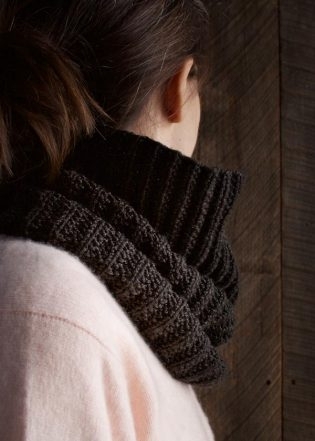 I like that this cowl ‘stands up’ more than the Mountain Cowl does — is this more about the type of stitch, the smaller circumference of the cowl, or the yarn itself? If using Gentle Giant for Mistake Rib Cowl what size needles and how many stitches do you recommend? How many skeins would be required? Thank you. Thanks you for writing us! You can certainly do a mistake rib cowl in Gentle Giant. In terms of standing up on it’s own, that depends on how tightly you knit the Gentle Giant. If you knit it on a US 17, it will be denser than say a US 19. If you want to make this in Gentle Giant you’ll have to knit a swatch on your desired needle size in the mistake rib pattern. From this swatch you’ll determine your stitches per inch and multiply that by your desired finished circumference. This will give you a rough cast on number. For mistake rib in the round you’ll need to cast on in multiples of four stitch. Hope this helps! Working this stitch now, Lov it. I have made several scarves with the ‘mistake’ stitch and just love them, so I am excited to try a cowl in the same stitch. Looks so luscious !! I just gave away one in brown for a church bingo prize – now I can’t wait to do this for myself in the dark color. Have to save up for your yarn. I would like to stretch this occasionally as a shoulder cozy. What are the measurements when it’s stretched? Thanks for the question. We don’t have the measurements for this when stretched, but I can assure you that it wouldn’t fit over anyone’s shoulders. I suggest adding stitches on to the pattern to get the circumference you desire. Thanks! Thanks for writing in! 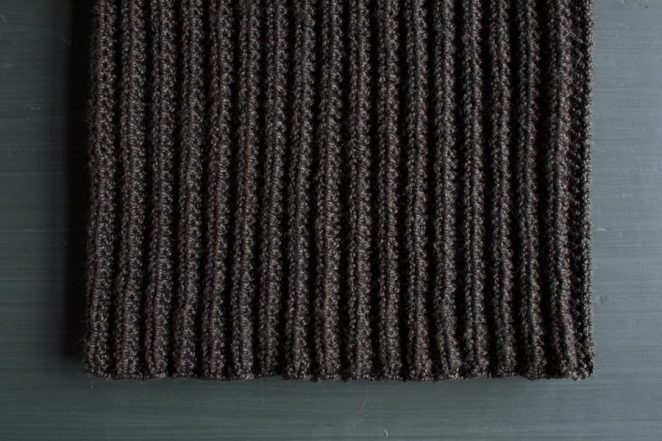 The first thing you will want to do is knit a gauge swatch. Your stitches per in will determine if you need to go up, down, or stay the same in needle size. Let us know how it goes! THank you this suggestion is just right. If I wanted to do the 2-color version that you have on your 2tone mistake Rib Scarf, can I buy one of each color for this cowl? Great questions! To knit this pattern using two colors, when you get to the end of your row you would simply begin knitting with your contrast color. You would need just one skein of each color! 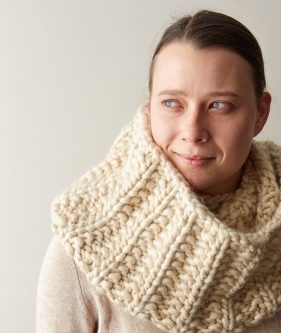 I want the cowl to sit a little tighter round the neck at the top and using a slightly smaller needle for that? I’m thinking of changing back to the recommended needles size after about 2 inches. Would that be sufficient? I do not want to spoil the scrunchy effect for the rest of the cowl. Thanks for reaching out out! This is a great idea- I think 2 inches should do the trick. Let us know how it goes and Happy knitting! Hi, How well could Understory be substituted for Mulberry Merino? Would it stand as upright? Understory and Mulberry Merino seem to be very similar in weight and yardage. I would swatch of course, but do you think I’d use the same needle size? Also, after this pattern was published it seems that you may have rethought the gauge and needle size recommendations for Mulberry Merino yarn. Are there any changes you would recommend to this pattern? Thank you! Can’t wait to get started. Thanks for writing in! 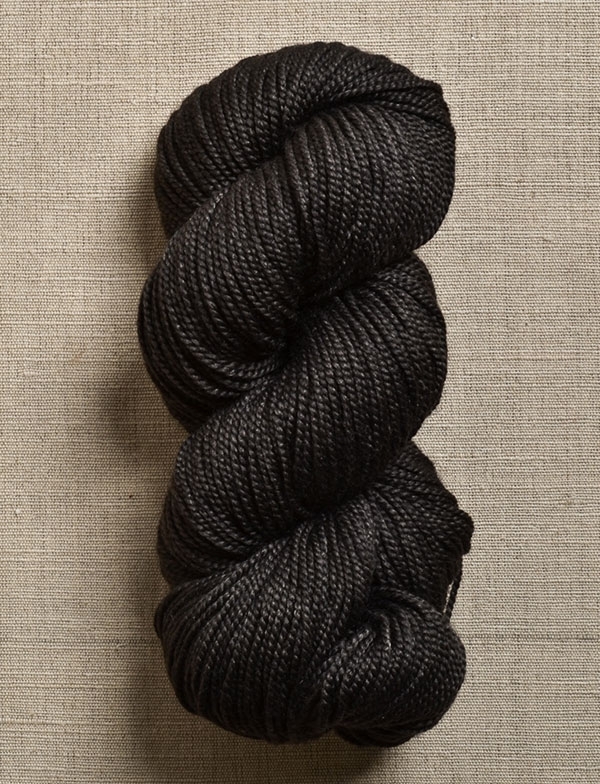 Although Understory and Mulberry Merino have almost the same yardage and weight, Understory is a heavy DK weight and Mulberry Merino is closer to sport weight. Many factors can affect the yards per pound of a yarn, including the relative weight of different types of fibers and how tightly the yarn is spun, so it’s not always a good indicator of what gauge a yarn will knit up! However, as a substitute in this pattern, I think Understory would turn out wonderfully. It is quite drapey because of the silk, but knitting it relatively tightly on US 7 needles in the Mistake Rib pattern should result in a fairly structured cowl similar to our original! Thank you for reaching out! The yarn we used is much thinner than a chunky yarn, but you could certainly adjust the pattern. 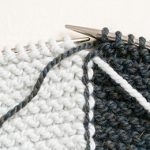 You would just knit up a small gauge swatch with your desired needle size to figure out how many stitches per inch you are getting and then multiply that by the circumference to get your cast on number. You will just want to remember that the Mistake Rib in the round is worked over a multiple of 4 stitches.